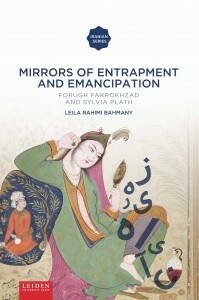 At the Iranian Studies Conference in Vienna it was announced that LUP author Leila Rahimi Bahmany was awarded with The Latifeh Yarshater Award 2016 for her book Mirrors of Entrapment and Emancipation. Forugh Farrokhzad and Sylvia Plath. A great honour and recognition for her work. The Latifeh Yarshater Award was instituted by the Persian Heritage Foundation to honor the memory of Latifeh Yarshater and her lifelong dedication to the improvement of Iranian women’s human rights. The purpose of the award is to encourage scholarship in Iranian Studies focused on the condition of women in Persian speaking societies and to promote women’s rights in these societies.